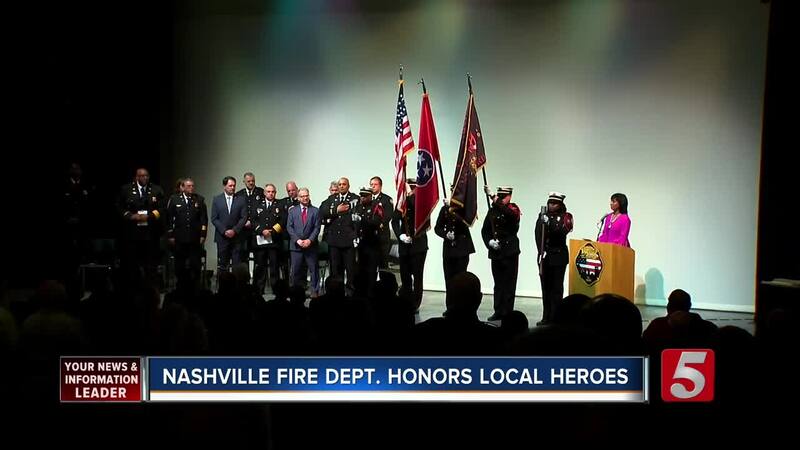 The Nashville Fire Department honored people who stepped up in times of crisis. The fire department held the Commendation Awards Ceremony Thursday to honor some of their peers, organizations, and even everyday people who went above and beyond to help others. The Clark family won the Citizens Heroic Conduct Award after the husband and wife rushed to help others during the shooting in Antioch at Burnette Chapel Church of Christ. Also honored was Waffle House shooting hero James Shaw, Jr. They honored heroes from both the Nashville Fire Department and Metro Nashville Police Department. NewsChannel 5’s Vicki Yates was the emcee for the ceremony.